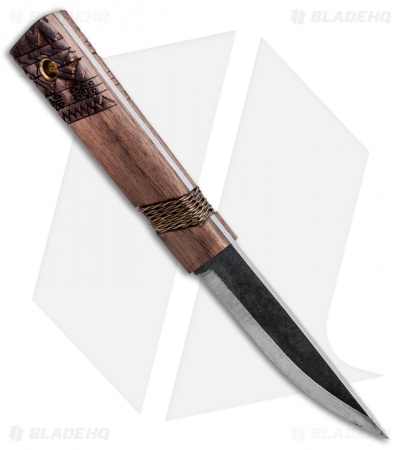 The Condor Mini Indigenous Puukko has a 3.2" 1095 high carbon steel blade and a walnut handle. 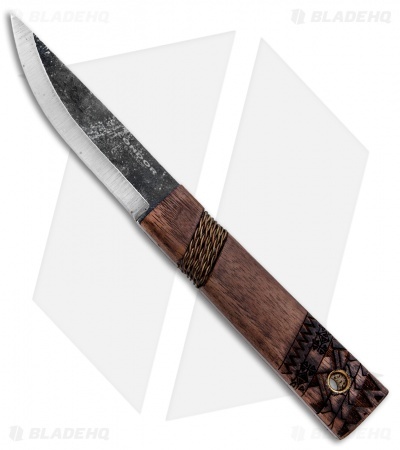 The scandi grind will make quick work of light woodwork and EDC tasks. 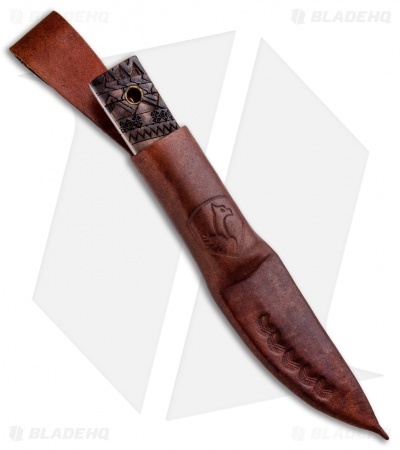 Comes with a fitted leather sheath and dangler for easy, every day carry. Compact scandi ground 1095 steel blade made for outdoor use. Walnut handle with unique engraving and wire wrap for secure grip. Leather sheath with attached dangler offering a convenient carry option.